• When-At the moment when midfielders can combine and play forward, creating options to combine with the #9. 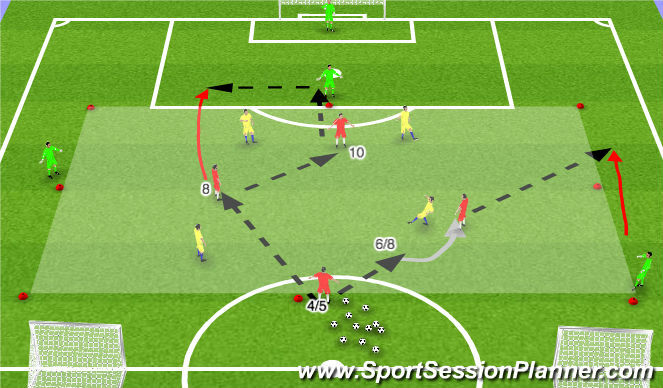 • How-Technique-Body Shape when receiving, Quality of passing, vision to play through the lines. - Yellow score a point by getting the ball from one target to the other, if they are successfull and get a point they can immediatly play the other way, and get as many points as possible. 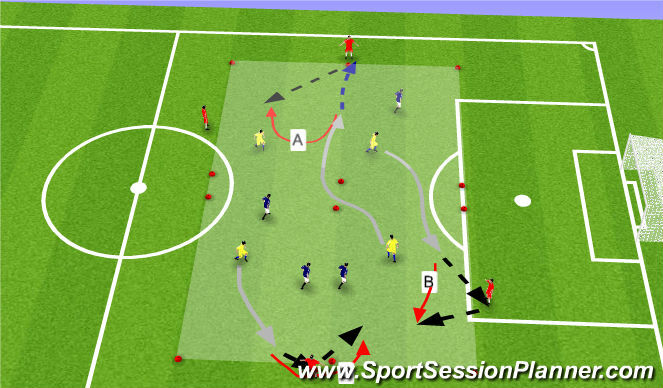 - If blue intercept the ball the can do the same but first have to set a direction in order to get a point. - --- - The team that has possession of the ball, must play one target player to set the direction of scoring then play the other for a point. 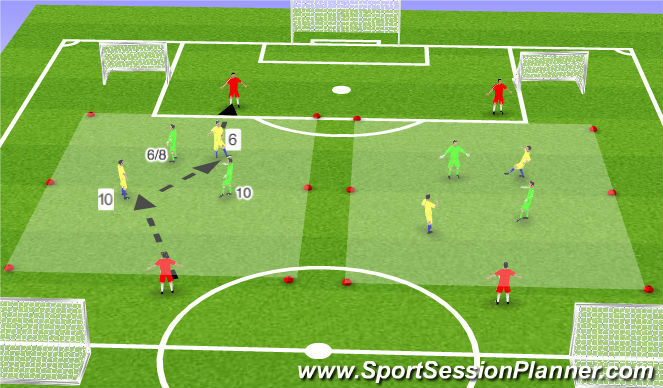 2) Choosing the pass that cuts out the most defenders. P-Blue play to pugg Goals, Yellow play to target players. - In the middle the attacking teams plays 3v4 but they have a target striker as a neutral and two wide neutral players. 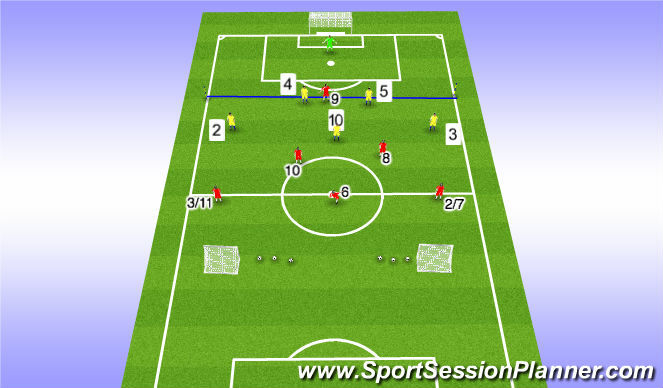 - At first only one defending player can leave the central zone--Progression defending players can follow their attacking counterparts into the attacking zone. • Mobility to create angles of support. • Mobility to unbalance defenders. - Two-thirds of the field. - White eam attacking big goal. - Blue team attacking PUGS. - Server/Coach shown in Black. - Poles/Cones on outside represent offside line. 4) Enforce offside line; ensure back line pushes up. 5) Play restarts from deep neutral player if it goes out of play.